​Monday - Friday | 8 - 10 a.m.
​Monday - Thursday | 10 a.m. - 2:30 p.m.
Peet’s Coffee offers a full assortment of hot and blended beverages. 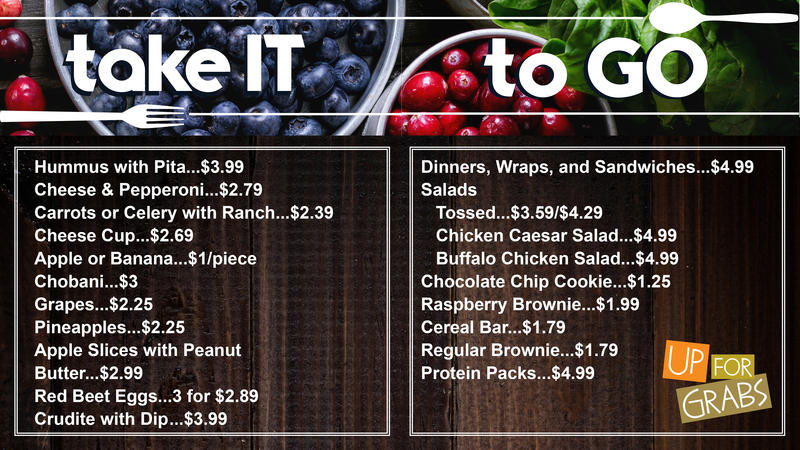 Up for Grabs is our grab-n-go program, designed for students on the go. 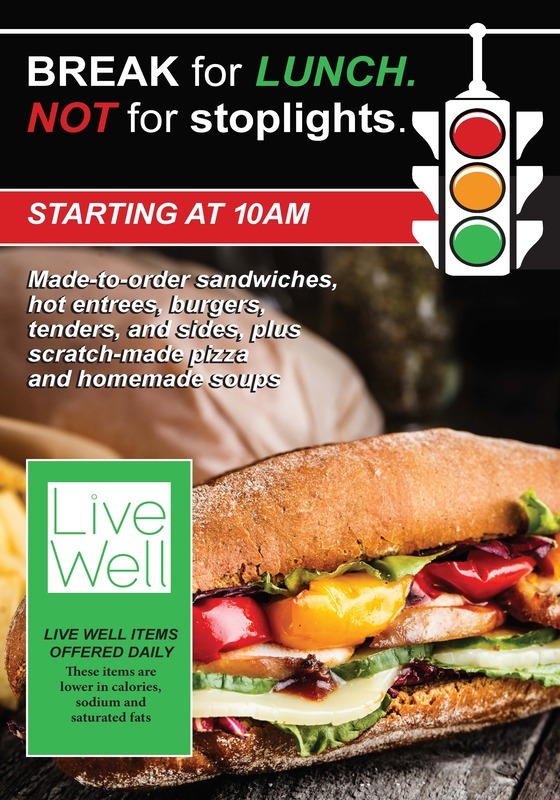 Enjoy sandwiches, salads, lunch and dinner options, snacks, candies, a variety of parfaits and yogurts, homemade hummus, cheese and fruit plates, and more.